There are many options for protecting your IP, and choosing the right one may be confusing for business owners who are not familiar with the relevant laws. Many business owners receive denials for their applications for patents, trademarks, and copyrights and do not know what their options are from there. Fortunately, an experienced business attorney can help you achieve trade secret status for your IP, which may actually be more beneficial than other protections in several ways. There is inherent economic value in keeping the information unknown to the public. You have reasonable efforts in place to maintain this secrecy. Because of these two basic requirements, many ideas that may be ineligible for other types of IP protections may be legally protected as a trade secret. When you apply for a patent, part of the requirement is that you disclose the formula or design for your idea. 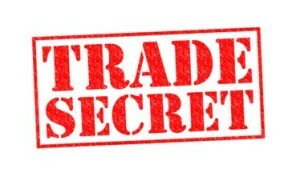 On the other hand, by definition, a trade secret will remain secret. Therefore, disclosure is not required in order to receive this type of protection. Some companies that have famously benefited from the nondisclosure of trade secrets include WD-40, KFC, Coca-Cola, Mrs. Field’s cookies, Google (for its search algorithm), Bush’s Baked Beans, and more. These companies wished to keep their formulas and recipes known to only a select few employees and therefore chose trade secret protection over patent protection. Unlike other forms of IP protection, trade secrets do not expire in a set amount of time. Instead, the protection continues to exist as long as the information remains unknown to the public. However, once disclosure occurs, the protections ends and others may be able to use the information for their own benefit. Therefore, it’s extremely vital that prudent steps be taken to preserve secrecy of the company’s trade secrets, and that constant updated measures are taken to keep the information secure. Some steps include, but are not limited to, executing employee confidentiality agreements, non-disclosure agreements with suppliers and vendors, restriction of access to records and manufacturing facilities, controlling access to company facilities by visitors and contractors, and designing products in a fashion so that reverse engineering is difficult. 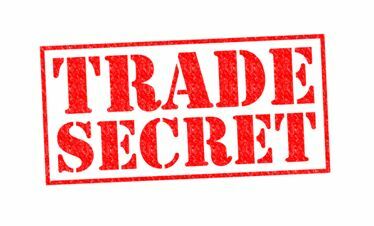 Overall, trade secrets can be extremely beneficial for some business owners. An experienced business lawyer can evaluate your situation and advise you on whether you qualify for trade secret protection and whether this is the right type of protection for you. Please do not hesitate to call the office at Structure Law Group, LLP at 408-441-7500 for more information on trade secrets and IP protections today.